Suso Saiz - Nothing Is Objective. Vinyl LP. Bleep. 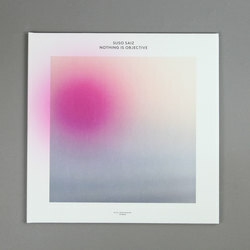 Gently fading into focus once again on label Music From Memory is Spanish composer Suso Saiz with Nothing Is Objective, the follow-up to 2016’s mesmeric Rainworks. 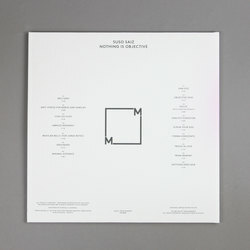 A sure-headed document of an artist fully embodying his craft, Nothing Is Objective, much as its title suggests, invokes a certain resolve towards constant transformation; not merely in its fluctuating tones and haar-coated ambiguity — who can say what we’re hearing is either organic or computed? — but also in its nomadic embrace of the unknowable. ‘Abrazo Mirando’ generates a vast landscape at once anxious and serene, drawing on the links of mutually-disagreeable emotions. 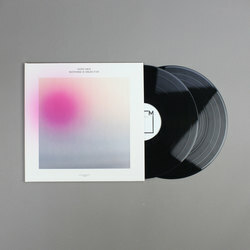 Meanwhile, the Christian Fennesz collaboration ‘Dulce’ assuredly defers a gratifying crescendo. This is ambient music blown wide open.